← What price no guide? When you book a holiday, do you wonder who your fellow travellers will be? Certainly we have in the past and have been very fortunate. 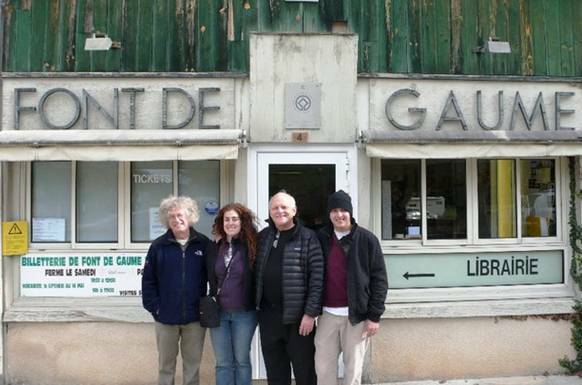 In fact, we count amongst some of our best friends folk we have met on holidays and notably a particularly memorable visit we made to China not long before we moved to France to start our new life here. But it might not have turned out that way. It was a large group of people, from varying backgrounds with varying interests. We were lucky, everyone got on well together to a greater or lesser degree and many friendships developed. Perhaps you know of instances when it’s not been like that! that seems to be the case with Slow Travel Tour groups, whether it’s France, Italy or elsewhere in Europe, the feedback is all very positive. 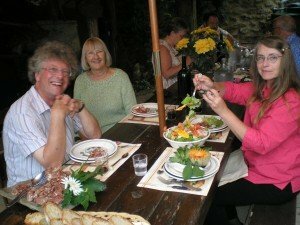 When you book on a Tour with Caves & Castles, it’s usually Judie you’ll have the initial contact with, but this is about teamwork so if you want to know something that involves Steve’s expertise, then there will be a quick ‘case conference’ and voila, your answer will be forthcoming, hopefully within 24 hours. Sometimes, there’s quite a chain of emails before the details are finalised; other times, it’s “I want to book places… and it’s straight into the (straightforward) booking procedure. Regardless, before you arrive, we’ll get to know each other to a greater or lesser extent. We like to know your food likes and dislikes, we’d much prefer to offer you meals you enjoy (whether at Les Rosiers or local restaurants) and obviously we need to know about allergies and intolerances. When you invite friends for a meal, that’s that sort of thing you ask – so why should it be any different because we haven’t met yet? and then it’s off out with Steve. He’s a mine of information and starts by ‘setting the scene’ – why is this area known as the ‘Cradle of Mankind’? As the week unfolds, so does the story – it can be as complex as you like, Steve is always on hand to answer those questions that always occur to you after you’ve left a site! Perhaps it’s of greatest importance to single travellers – will you be the odd one out, isolated, lonely even? Certainly not on our tours! Again, because you’re booking with like-minded people, you start with things in common and it develops from there. 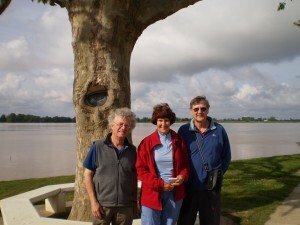 The tree at Blaye that keeps its eye on you! afternoon and perhaps, one of Steve’s ‘asides’ that he introduces – a sudden “let’s take a look at this….” He’ll take you to places you won’t find on your own. 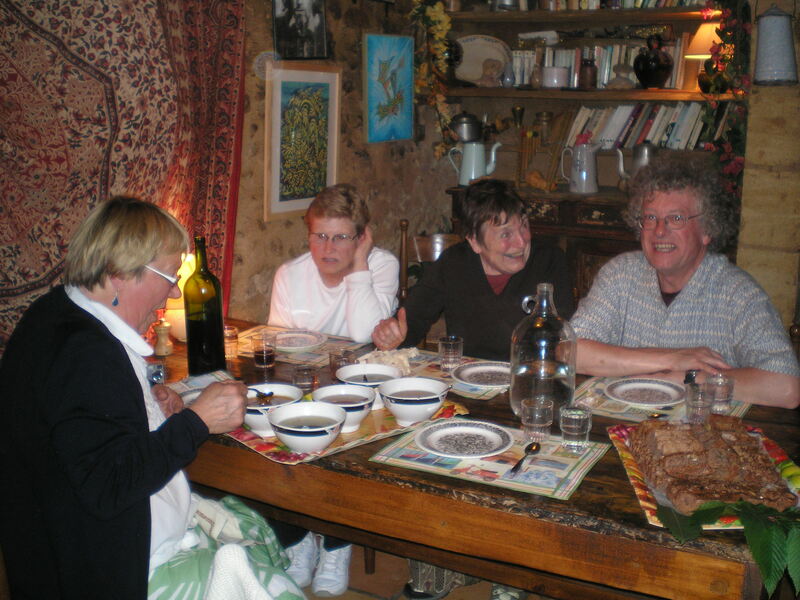 styles of cuisine – but the welcome is the same, a wonderfully warm and comfortable feeling. And then the meal unfolds….. The Slow Travel Tours group is a small collection of companies with diverse activities, but we are all ‘owner-operators’ and the tour you book will be personally led by the people you book with. For us all, it’s very much a case of strangers becoming friends during the course of their stay and to quote Kathy Wood of the Luberon Experience “we now have friends all over the USA, and in Canada, Australia and New Zealand too”. Us too – and it’s a great feeling! 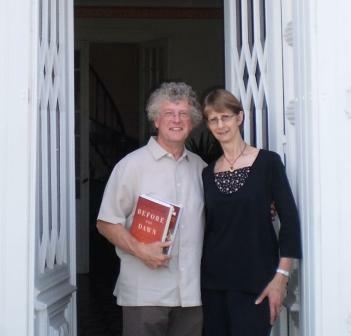 Steve and Judie Burman live in the beautiful Vezere Valley in the Dordogne region of South-West France. Together they run Caves and Castles, specialising in prehistoric Cave Art and medieval Castles Tours. Small groups tours (up to six people) are based at their recently converted farmhouse. Alternatively, they offer non-residential tours for a day or longer. 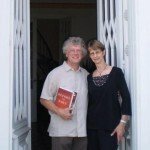 Professional archaeologist, Steve and his wife Judie love to share their passion for the ‘Cradle of Humanity.’ Its history and culture are awe-inspiring. The area is also famed for its gastronomy and wine. You won’t be disappointed!